“The arts exist, so that we might give voice to what we cannot say any other way. I am amazed and inspired by the profound insight and awareness that our students realize through their images and their willingness to act on their convictions; to ask the difficult questions and to seek original solutions with integrity, creativity, energy and enthusiasm.” So says artist/educator Patricia Post, painter and printmaker who explores the human figure to find its beauty and grace. She understands and expresses through her art the power of gesture and the paradox of human experience. Patti paints what she loves and what she loves is the figure, with all the experience and life history contained in it. As an educator she often led with her heart, using her capacity for wise love to extract from each student his or her unique creativity. 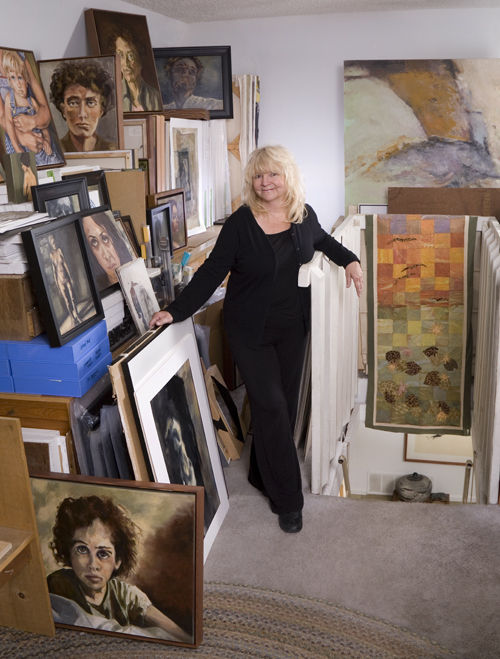 In 2008 Patti retired from Ventura High School, having completed a forty-one year teaching career in the Fine Arts. She has won numerous awards that range from Teacher of the Year at school, district and state levels and was a Visual Arts Finalist at Disney Salutes the American Teacher Awards. Patti Post’s documentation took place in 2011 and was sponsored by Ted & Joyce Lombard. The FOTM Archive contains extensive information about this artist.